August 2011 – on my way: make it someday. Today was supposed to be a really long day of work. One of those days where I wake up, leave the house at 5:45, go to Washington, work all day, and then get home around 9 or 10 at night. But when Lorien, the PhD student and I, got to the field site, she realized that she had left the chamber of the LI-COR machine in her garage, and couldn’t do any of her respiration measurements, which were supposed to take 5 hours. Instead, we were left with two people to do what would have taken me three hours alone, and with twice the labor went even faster. End result, I was back in Eugene at a normal time and wondering what to do with myself. I had anticipated being exhausted when I got home, and getting takeout. But with so much time I decided to cook instead, using a recipe from Rasa Malaysia, a blog devoted to not-too-difficult but reasonably authentic (I think) Asian cooking. And I discovered something amazing: you can make Chinese food at home which is twice as good as takeout, not too hard to cook, and not even very expensive. Hallelujah. This dish has many great components. First of all, fresh egg noodles? Completely amazing! So good even compared to fresh Italian-style pasta. Wow. Secondly, the chicken, holy crap. Sweet and spicy and delicious, sticky in that Chinese-restaurant sort of way, and caked in sesame seeds. Finally, the vegetables are still somewhat crisp, not mushy and gross. I’m a huge fan of this dish and can’t wait to eat the leftovers for dinner tomorrow. 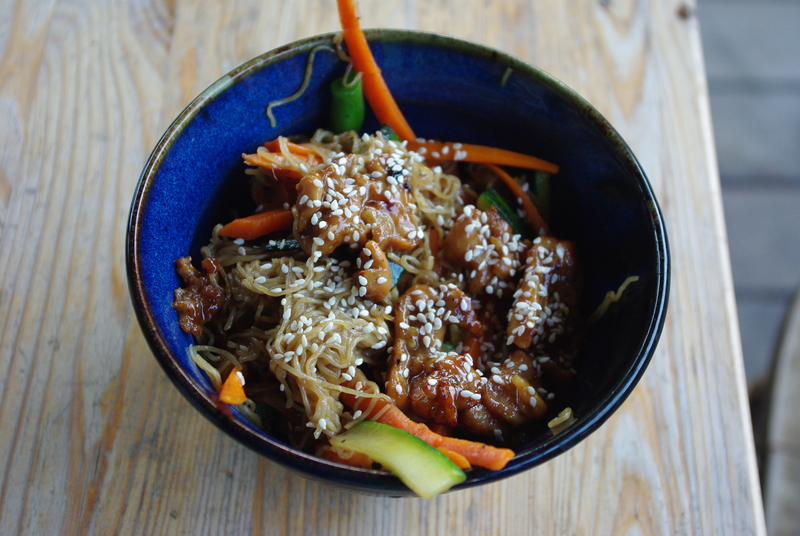 Another great thing about this recipe is that once you get a few ingredients from your Asian market (which is way cheaper than a normal grocery store, I promise you), you’ll have them in your cupboard and it will make it even easier to cook up future feasts. I’d strongly suggest getting an authentic, rich soy sauce instead of the watery, salty, bland kind that is a staple in American cooking. You will discover that soy sauce is unbelievably tasty, and not just a way to salt your food. Ditto on the rest of the ingredients, really. So I present to you, chicken and noodles for one, in your own wok. Enjoy! Note: I made three times the amount of chicken, and saved it in a tupperware. The noodles won’t reheat well, so the idea is that you can make a new batch of noodles and veggies the next night and throw the chicken in on top. Everyone likes having a few days worth of dinners (or lunches!) in the fridge! Start by placing a wok over high heat with 2 tablespoons of the canola oil. When it’s good and hot, pour the chicken and the marinade sauce into the oil. Cook over medium high to high heat for ten or so minutes; the chicken will at first cook in the sauce, but then the sauce will begin to evaporate. When there is barely any sauce left, the chicken is turning dark, and the tips are just beginning to blacken, take the wok off the heat. Pour the chicken into a bowl. Let the wok cool slightly and then clean it out; there will be some sauce blackened onto it. Next, rinse the egg noodles in a bowl of water several times, discarding the water after each rinse. Let the noodles sit in a bowl while you prepare the wok for them. Cut the carrots and zucchini into very thin matchsticks and the greenbeans in half each. Over medium high heat, warm the remaining two tablespoons of oil and then add the garlic, cooking until it is soft. Add the vegetables and stir, cooking for a minute or so. Add the noodles, soy sauce, oyster sauce, and water, and cook until the noodles have changed color and are cooked through. 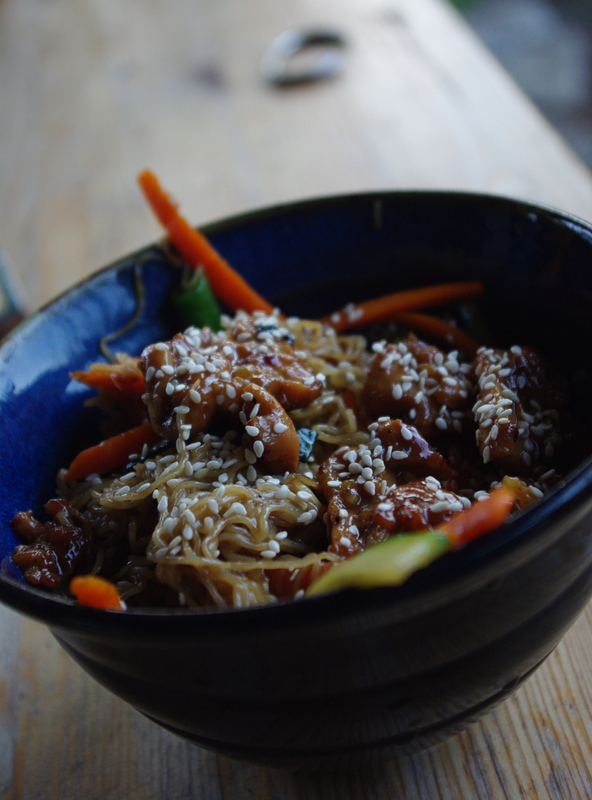 Put the noodle mixture in a bowl, place the chicken on top, and sprinkle with sesame seeds. When I was growing up, my mom would have dried apricots around the house. Sometimes she put them in “blondies”, the butterscotch brownies we made quite frequently (we did not want for dessert even then!). My take on dried apricots, at that point, was that they were kind of yucky. I would beg her not to put them in the blondies. I just wanted chocolate. Fast forward to my sophomore year of college, when I was living in Morocco for a term. You would walk down the street on your way home from school and pass so many vendors: the guy selling camel meat, the fresh cheese attracting flies on its little shelf, the hot roasted seeds and nuts, the pastries, the dates, the olives, the fruit. 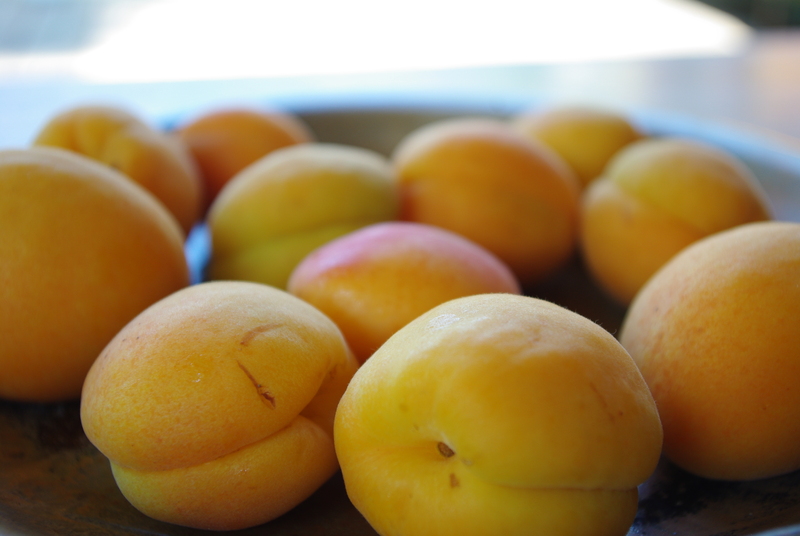 And among those piles of fruit – really, piles – was, nestled in there, fresh apricots. I was dumbstruck. What? Apricots were actually a fruit? I guess I had known that, if nothing else than from learning how to say them in foreign languages. But as a New England native, it had really never occurred to me that such a thing as a fresh apricot existed. I bought them up and ate them one after another, nom nom nom. Then I returned to the U.S. and apricots were but a distant, tasty, memory. I kept eating dried ones, of course, but they aren’t the same. When I moved to Oregon, I was elated that apricots might be part of my future again. We’ve had an awesome summer of fruit so far – strawberries, raspberries, cherries, you name it. I was recently making dinner with a friend who mentioned that he was going to pick blueberries over the weekend. I love picking, but I don’t actually like blueberries – I know, I know, I’m a freak. I told him as much. “Well, what is your favorite summer fruit?” he asked. After thinking for a little while – raspberries are so good – I said, with some trepidation, “apricots”. I’m a lucky girl because Matt called me up from the blueberry farm while he was picking and said that they had flats of fresh Oregon apricots for sale, and did I want one? So he brought 17 pounds of apricots over to our house and my housemate and I split them. She dried some and canned some whole, while I was determined to make jam. Apricot jam is my favorite and I was envisioning needing a hint of sunshine once it gets cold and wet and horrendously depressing here this winter. So I started looking up jam recipes and came across a foursome of recipes from Christine Ferber, who may or may not be the most famous jam-maker in the world. The recipes looked good so I dove in. 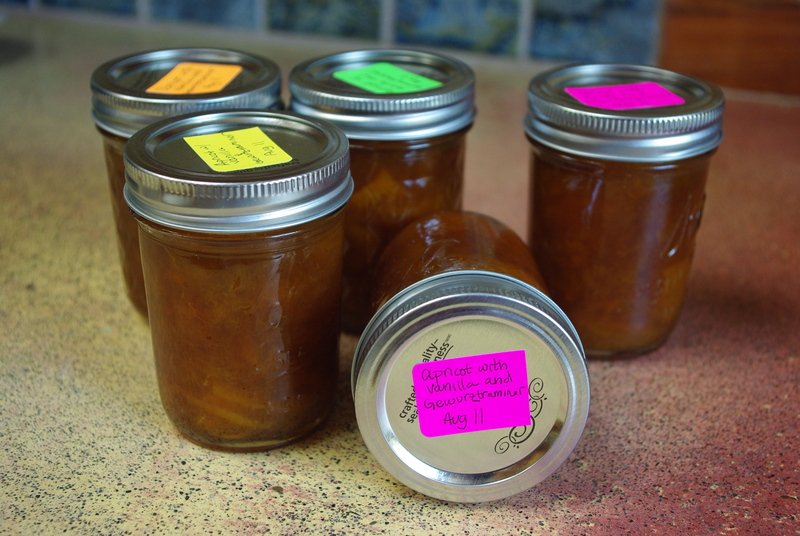 I wanted to make one batch that was just a simple apricot jam. It seems stupid to waste such good jam on sandwiches, but I do eat peanut butter and jelly for lunch pretty much every day and I’ve been stockpiling different flavors to keep my winter interesting. So far I have homemade strawberry, mixed berry-cherry, and this apricot. 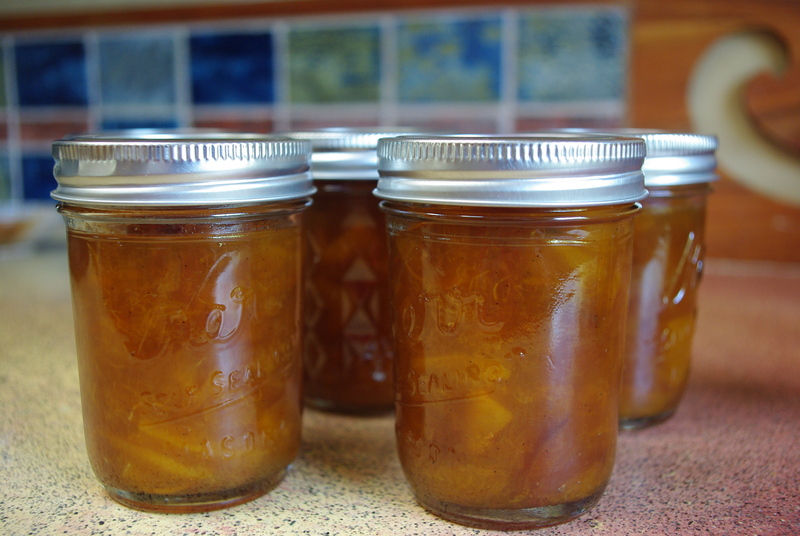 The method for Ferber’s apricot jams is interesting – first of all, you don’t have to use pectin, which was nice. But secondly, she says to boil the apricots and sugar and lemon juice very briefly and then put them in the refrigerator overnight. I was a little nervous about this step, because after all there isn’t much liquid involved: just apricots and sugar. How am I supposed to boil this? But I tried, and as the sugar melted it brought some of the apricot juice with it, and I was indeed able to bring the mixture to a boil. I stuck it in a bowl and forgot about it for the next 24 hours. When I came back, there was tons of juice – I understood that “macerate” actually is a process which accomplishes something. The next step was to strain out the apricots and boil the juice until it reached 220 degrees. Then, I dumped the apricots back into the mixture and boiled them for five minutes before canning them and going through the whole water-bath process. I tasted a little bit of the jam while I was canning and it was delicious – not too sweet, and very apricot-y. One thing I’d recommend is perhaps cutting the apricots smaller than half-pieces, depending on what you want to use the jam for! I’m really excited to have this ready for the winter. Then: a second batch. The thing about Ferber’s jams is that while some are basic and delicious, others are incredibly fancy and gourmet. I was going to try one of the fancy ones, darnit. I had a hard time picking – I really wanted to try nougabricot, which confusingly enough is a Quebecois jam using apricots, pistachios, and almonds. Where did they get this stuff? It must have really been a delicacy. But in the end I went for a jam using apricots, orange zest, vanilla bean, and Gewurztraminer, a white wine. I couldn’t quite imagine how to eat nougabricot with its chunks of nuts. This other jam sounded more refined. So I went to the grocery story to pick up ingredients and quickly realized that I was going to spend more on a few jars of jam than I do on most dinners. I hesitated, but I had picked my jam and I was going for it. I sucked it up and spent nine dollars on a vanilla bean, grimacing a bit as I did (I stopped grimacing when I smelled it… holy cow, those things are amazing). So: the basic jam recipe was the same, but with some added steps. It actually used a cup or so of dried apricots, which I cut up very finely and left to soak overnight in the Gewurztraminer. I ate one the next morning. Yum. The orange zest and vanilla bean went in with the fresh apricots, and the dried apricots were added in along with the fruit after the syrup had been heated to that 220 degree mark. The jam smelled divine the whole time it was cooking. Our kitchen became a whole new place. And as I was canning, I decided to leave out a little bit of jam for my housemate Laura and I to eat. I was dying to try this fancy invention. We scooped ourselves tiny bowls of vanilla ice cream and drizzled the jam, still hot, on top. I am not going to be able to put this on toast; it’s too good. It’s rich and it’s… BAM! It’s both strong and delicate, and kind of indescribable. I have never had jam like this before…. and okay, I am going to put it on toast, but it’s so good that it feels like a travesty. Ice cream was a perfect vehicle for the jam, which was completely worth the silly amount of money I spent making it. The verdict here is that I am so excited to have two kinds of delicious apricot jam in my cupboard – and I still had enough apricots left over to munch on this week. I put them in oatmeal for breakfast and eat them for snacks… and for lunch… and for dessert. I’m a lucky girl, and I owe Matt big time for picking me up some of my favorite fruit. 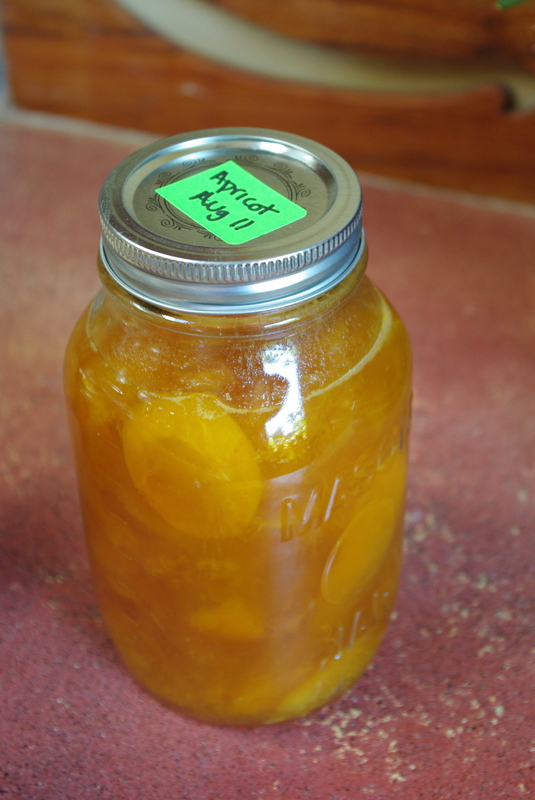 I’m not going to post recipes since I didn’t adapt them at all – but you can find four amazing apricot jam recipes over at Mrs. Wheelbarrow’s blog, which is amazing, as a side note. One of the coolest things about living where I live is that you’re just an hour or two away from some pretty big, majestic mountains, and you’re only a bit over an hour away from the ocean. How many other places in the country have that going for them? After heading out on some hiking trips for the last few weekends, I realized that I was missing out on the other side of the state. I love the ocean; why hadn’t I been there yet? I was pretty busy all week so I didn’t have much time to plan, but I woke up early and drove over to Cape Perpetua Scenic Area. Almost as soon as I hit the coast, I was smack-dab in the middle of what I had hoped for. 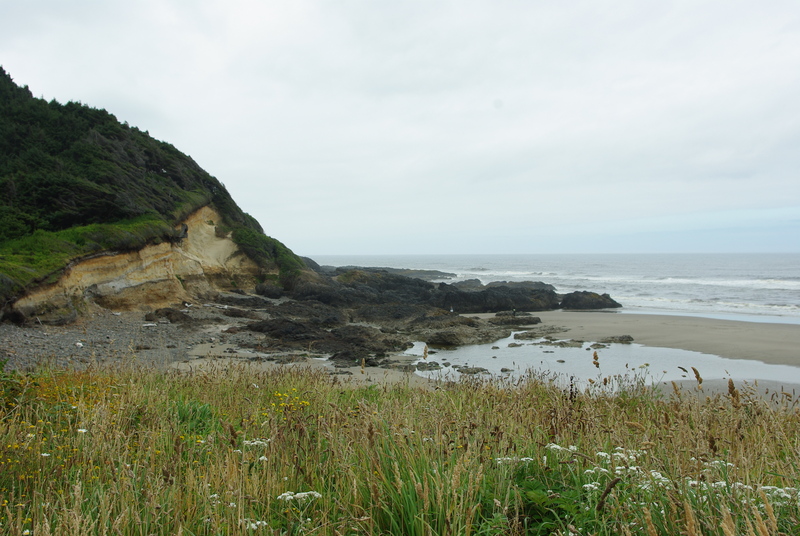 It was foggy and moody, with steep bluffs and rocky crags overlooking the Pacific. The road wound up and down the hills, which were covered in the tall Douglas fir trees. The roads were lined with stone walls and there was even a lighthouse. I had made it to the Acadia of the west. After stopping at a picnic area to stretch my legs and breathe in some ocean air, I made my way to the Cummins Creek trailhead, hopped out, and started running. There was only one other car (another 4Runner) in the parking lot so I knew I’d have the trails to myself. As a kid, I remember thinking people were crazy when they said there was rainforest right here in the United States. No way, thought my little New England self! 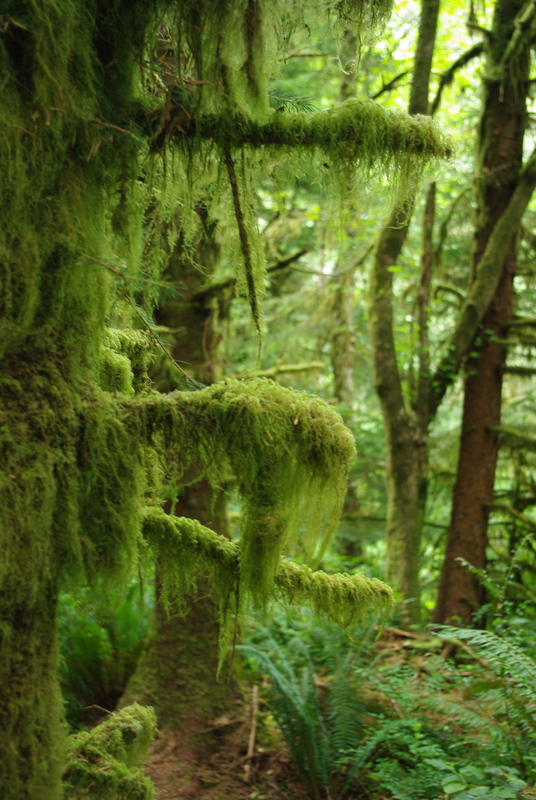 But as I padded along the soft path and gradually climbed up through the moss-covered firs, I knew that there was rainforest. It was all around me. I never saw Cummins Creek, which was in deep valley below me, but from time to time I could hear it, and I crossed several small streams which emptied into the larger one. After three or so miles of gentle uphill, I reached an overlook. It was too foggy to see the ocean, but I could gaze out over the ridges and deep valleys of firs. In a few places the trees thinned out to meadows, which were covered in wildflowers. I still hadn’t seen a single other person. In all, I ran through the Cape Perpetua trail system for about two hours, never pushing myself, but just enjoying the scenery and the birdsong and the solitude. It was cool this early in the morning, and that was the point. I had a great run. 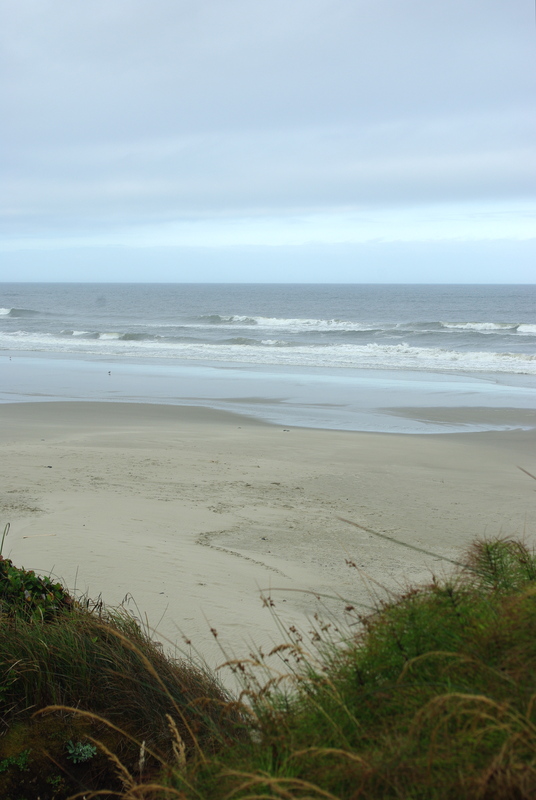 And then – back to the coast, where I went to a different picnic area, ate my lunch, wrote some letters (yes, some people still hand-write letters), and walked on the beach. 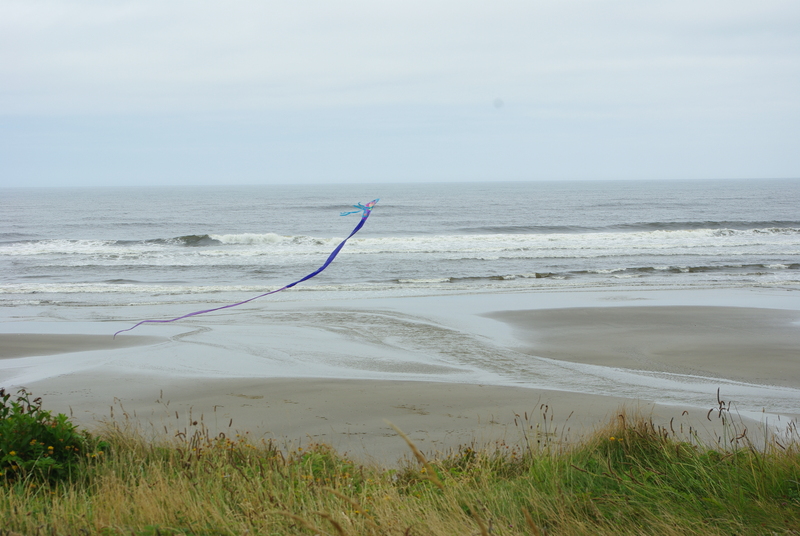 A little boy was playing with a big, swooping kite, and I spent a silly amount of time trying to capture a good shot of it as it danced above the waves. I didn’t, really. 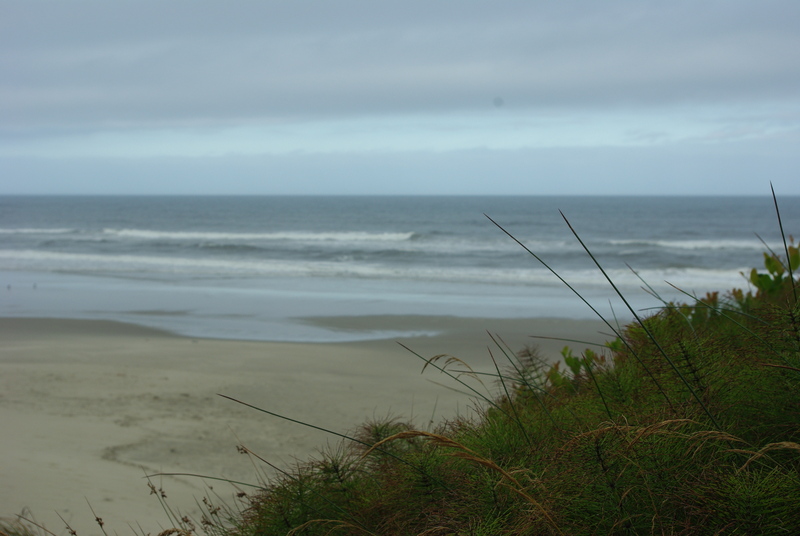 I wanted to soak up all of the salty air and the cold wind that I possibly could before I went back to Eugene, so I loitered on the beach for a while more, taking more and more pictures and finally just sitting looking at the water. Then it was off to a coffeeshop to do some work. It’s funny, because I don’t like coffee that much, but I’m finding that I’m becoming a coffeeshop person anyway – it can be a much nicer place to work than my own house, where I am always distracted by things that I’d much rather be doing. After all, there’s bread that needs to get made, berries that need to get picked, and my room has been looking like a bomb went off in it recently. It was great to finally see the coast and I am sure that I will be back again soon! 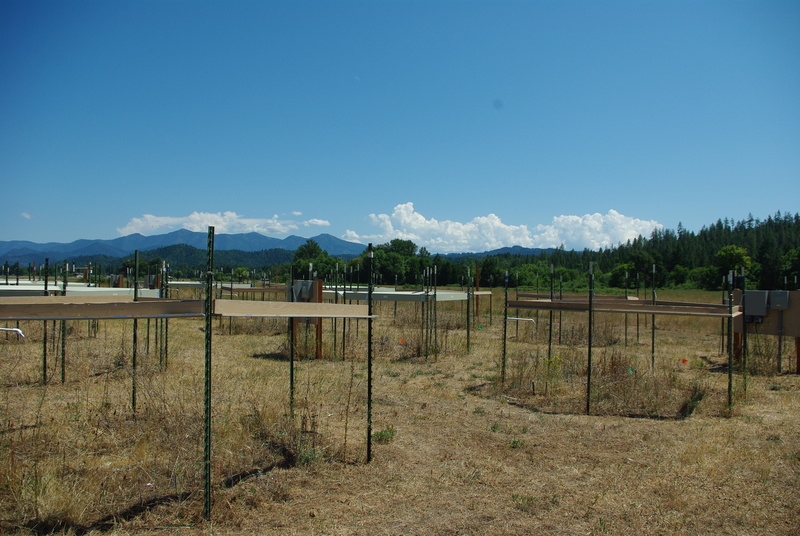 At 6:45 I hopped in the Prius and started the trek down to Selma, Oregon, where we have a site at the Siskiyou Field Institute. It’s about three hours from Eugene, and the first two were very gloomy. I began to regret not bringing warm clothes until, as usual, I reached the town of Sunny Valley, where it never fails to all of a sudden be sunny. It’s kind of creepy, really. You’d think the spot where the weather would changes would switch at least a little bit from day to day… maybe the happy citizens of Sunny Valley have made a deal with the weatherman up in the sky. Having such a perfect name must make for good tourism. 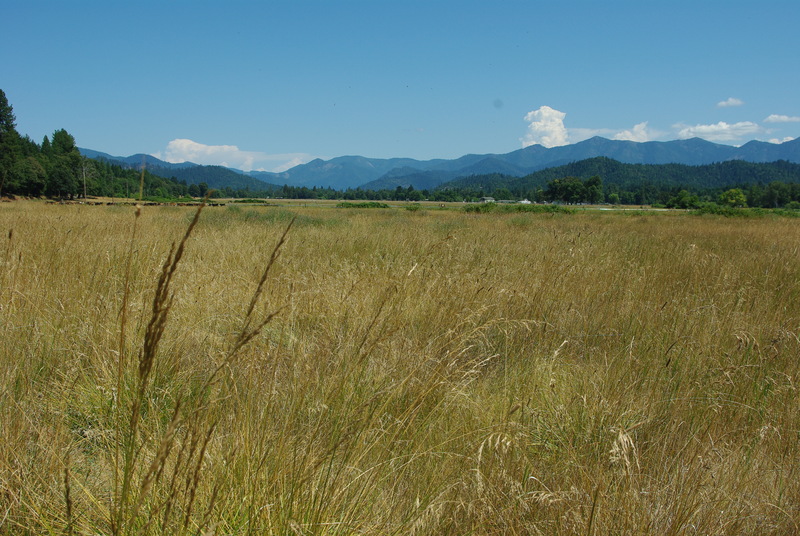 By the time I was halfway done with my fieldwork, the temperature had climbed to 91 degrees. There’s no shade in the sites, and half of the plots are heated by 3 degrees Celsius, so they were closer to 96 or 97 degrees. Thank goodness it’s not humid, but basically, I was dying. I was working slower and slower, getting dizzy when I stood up from looking at plants, sweating profusely, the whole deal. I chugged water but when you’re out in the blazing sun in 90+ degree weather, you can only be more comfortable or less comfortable – there’s no just plain comfortable. The heat was taking a toll on our plants, too. I was looking for two annual species in each of the plots: Navarettia pubescens and Clarkia purpurea. The last time I was down here, they were hard to find. This time around, I found many we had missed – the other plants were dying back, making anything still remotely green stick out like a sore thumb. 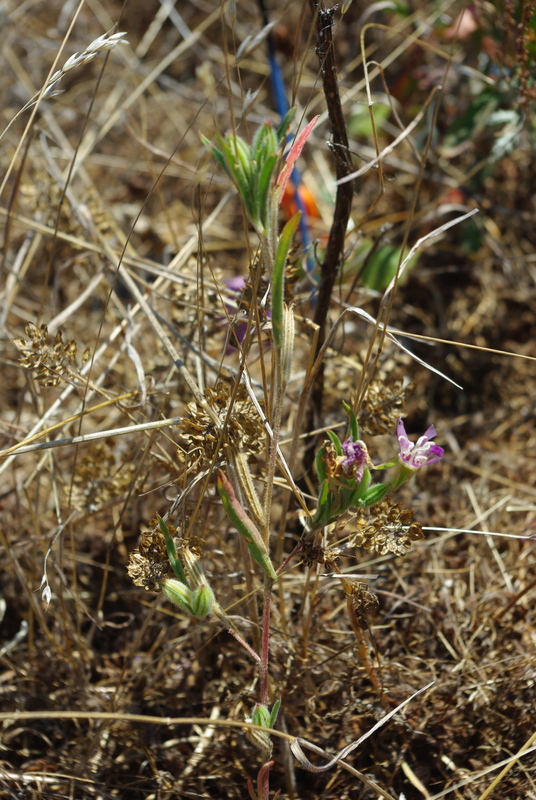 The pink flowers of the Clarkia were definitely not the norm: look at all the dead thatch around this plant! 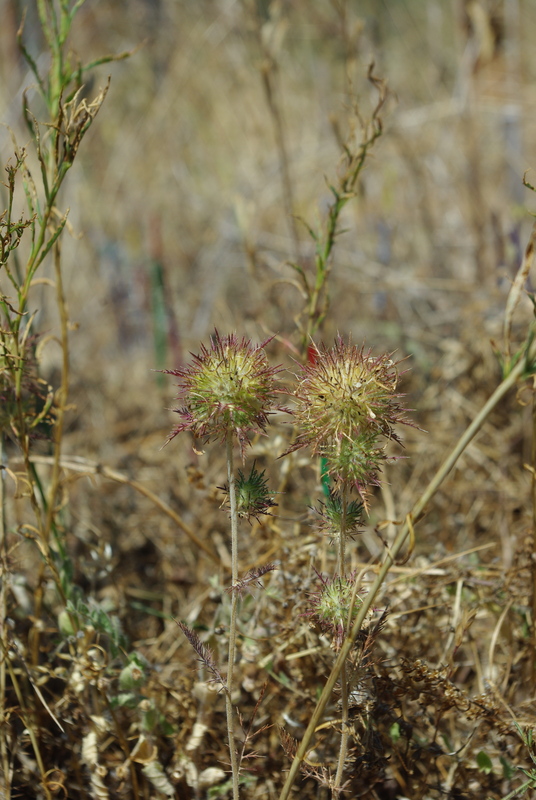 The Navarretia didn’t stick out quite as much, but luckily their really unusual shape makes a good search image. There isn’t much else you will get confused with this plant. So I guess I’ll save the trail for later. It was a little disappointing, but I had a nice quiet day of work, and 11.5 hours which means I don’t have to work a full day tomorrow! Weekend here I come.